The Institute of Electrical and Electronics Engineers (IEEE), the organization behind standards such as WiFi, Wimax and hundreds of others, sees Solar energy as becoming the cheapest power source in ten years. The organization, which is increasing its focus on Solar this year through the setting up of a journal and experts groups, is one of the few international bodies to throw its weight behind a single source of energy and hold it up as the definite candidate to bet on. Most other experts and bodies tend to see a combination of sources, such as Wind, geothermal and nuclear as the solution to getting out of the hydrocarbon problem. The IEEE, after which many standards are named, is considered the world’s largest association of professionals — encompassing experts in nearly all fields from electronics to aviation. The forecast, if it comes true, will also pose a challenge to countries such as Saudi Arabia which derive a lot of its income from its deposits of fossil fuel. Many such countries actively limit their production so that that the reserves last for 20-40 years more. If Solar is sure to become cheaper than fossil fuels, such countries would be better of producing as much as possible when there is still demand for such products. IEEE says Solar has the potential to more than meet the entire energy requirement of the planet. Currently, power produced from solar photovoltaic plants costs around 4 US cents (Rs 18) per unit, while coal powered plants produce a unit of power at around Rs 3 or 4, without including cost of pollution. Many governments, such as India’s, provide purchase guarantees for solar powered electricity production. 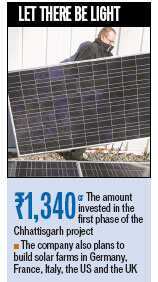 India, for example, is offering around Rs 17 per unit of such electricity, under its massive Solar Mission. However, global solar PV production is still minuscule — around 20-30 Gigawatt per year, not enough to even meet the incremental power demand for a country like India. India has a total of around 155 GW of capacity most of which is able to run 24-hours a day, compared to solar which runs effectively only for around 6 hours. The production capacity, however, has been increasing at an average annual growth rate of more than 40 percent since 2000. At current trends, by 2050, it is expected that solar PV will provide 11 percent of global electricity production, corresponding to 3,000 gigawatts of cumulative installed capacity. International Finance Corporation (Ifc) on Thursday announced an investment of $4 million to build the country’s first large scale grid connected thin-film solar power plant, which will help bolster clean energy locally and provide additional electricity to about 11,000 people. 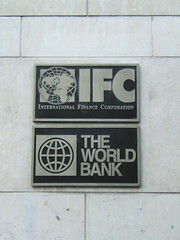 The investment by Ifc, a member of the World Bank Group, into Sapphire Industrial Infrastructures, a subsidiary of Moser Baer Clean Energy, will support the construction of a 5-megawatt solar plant at Sivaganga in Tamil Nadu. “Ifc recognises the potential of large-scale solar power generation to help meet India’s enormous energy needs,” country head-Solar Farms at Moser Baer Clean Energy Rajya Ghei said. The learning from this project will help us replicate similar projects in other Indian states, Ghai added. The solar plant will have the capacity to produce eight million units of power annually, and is expected to avoid approximately 6,600 tonnes of greenhouse-gas emissions per year. Grid connected solar electricity has received lukewarm response from the private sector in India due to higher initial investment and generation costs as compared to conventional energy sources. “The successful commissioning of this first large scale thin film solar photo-voltaic plant demonstrates private sector’s ability to rise to the challenges associated with achieving a balanced energy mix,” Ifc director, Infrastructure Asia, Anita George, said.